If you are unable to access your phone and/or have forgot password to ZTE Tempo X, hard resetting might be your only option. In order to Hard Reset , follow the instructions below. Remember there is no going back and your ZTE Tempo X will reset back to default factory settings. 4. Choose “clear emmc” use the Volume Down Button to navigate and the Power button to confirm. First of all, Power of the ZTE Tempo X . Next, press & hold the Volume Up + Power key for a few seconds. You should release held keys when the Android Robot appears on the screen. When the Boot Mode pops up release all keys. To Recovery use Volume up to navigate and volume down to confirm. When the Android Robot shows up hold down the Power key for a short time. At moment you holding the Power key press the Volume Up one-time. Next step use Volume buttons to select “wipe data/factory reset” and tap the Power button to confirm. Choose “yes” from the menu, and accept it with the Power button. As soon as the Recovery Mode menu appears again select option “reboot system now. Congratulations! The hard reset has just been achieved. 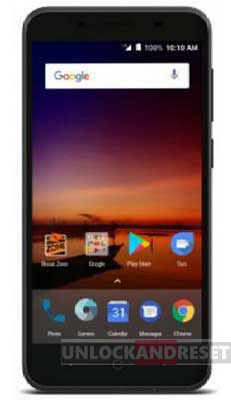 ZTE Tempo X is now hard reset and back to default factory settings. The phone is now ready to be passed on to a new owner.